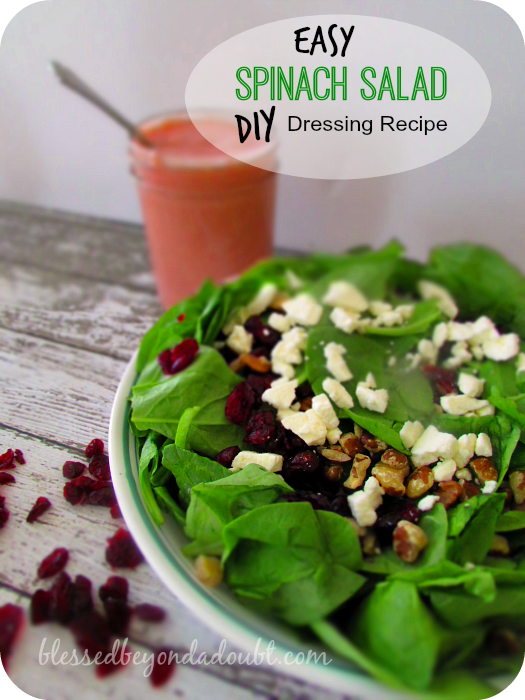 This easy spinach salad recipe is probably one of my favorite salads. We eat it this fresh spinach salad all year-long. Each time I take this easy spinach salad to a potluck, people always thank me and want the recipe. It’s really delicious, but it didn’t make as famous as this scrumptious recipe. Pretty close though. And it’s even better when I started making my own raspberry vinaigrette dressing instead of store-bought, but it’s awesome either way. Raspberry Vinaigrette salad dressing or make your own. Mix all ingredients in a large serving bowl, toss. It serves between 8-10 people. Yes, it’s truly that simple to make this easy spinach salad. 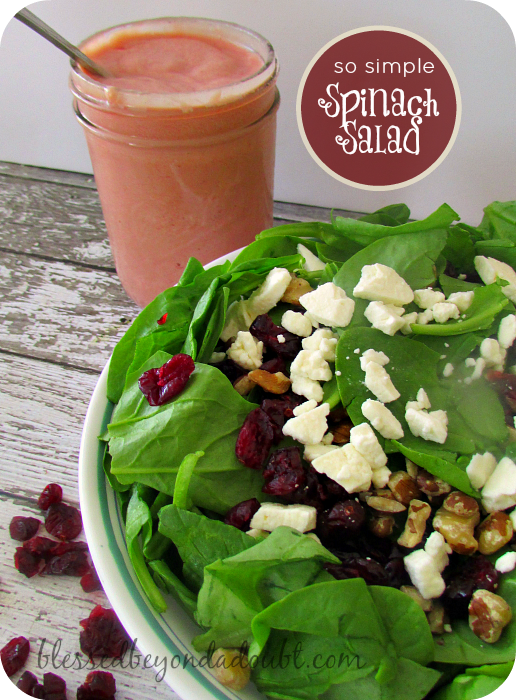 Enjoy this easy spinach salad recipe and be sure to pin it.